Journey@McPherson celebrated their fifth anniversary on Sunday, January 28, with thanksgiving to God and a fellowship dinner of soups and pies. In its beginning the church met in rental space in the local middle school with a trailer load of furnishings to set up and tear down every Sunday morning. They have since bought and substantially renovated a former grocery store one block off Main Street in downtown McPherson. 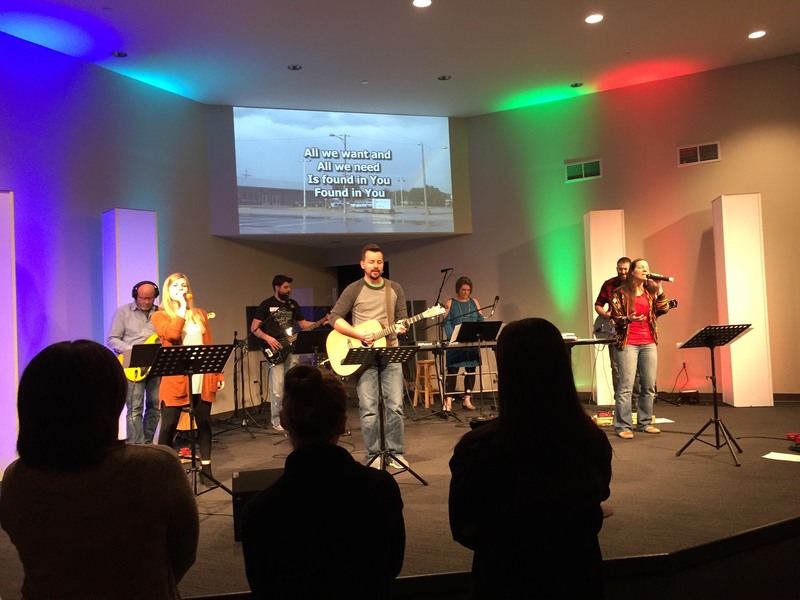 A current focus is the development of children’s and youth ministries including an after school arts and music program that runs Monday – Thursday. Current pastoral staff in the picture are Zach Batson, Worship Pastor; Howard Wagler, Lead Pastor; Kevin Wilder, Associate Pastor; Jim Ostlund, Campus Pastor; and Josh Wardle, Youth Ministry Intern from Central Christian College.